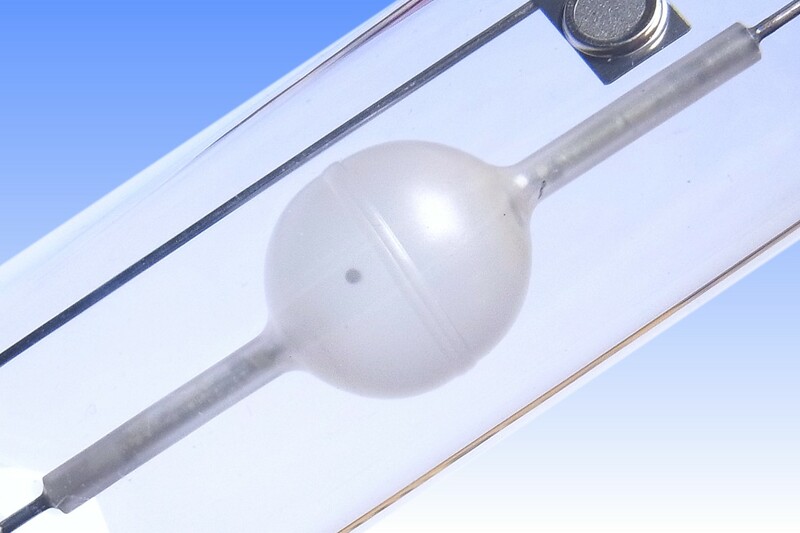 Powerball lamps were introduced in 2002 and marked a major development in ceramic metal halide technology. It was the first commercially-available lamp to depart from the traditional cylindrical ceramic arc tubes in favour of a more rounded shape. 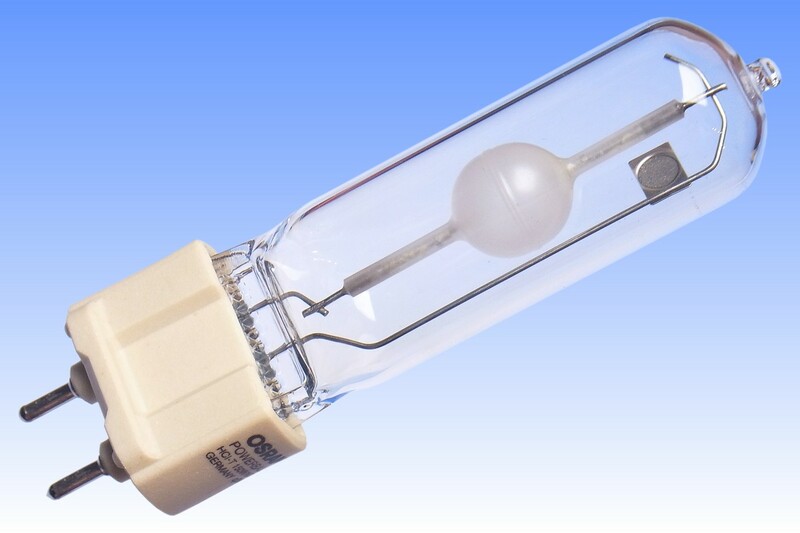 Moreover, the quantity of ceramic parts making up the arc tube, which was originally 5pcs with the first Philips lamps of 1994, and reduced to 3pcs with the GE development of 1999, was further reduced to just 2 parts. The shaped arc tube is advantageous because it better follows the thermal profile of the arc. Cold spots could be eliminated, leading to increased halide vapour pressure and improved efficacy and colour rendering. This 150W lamp showed about 4% increase in flux when it was launched, and colour rendering was also increased especially in the red. 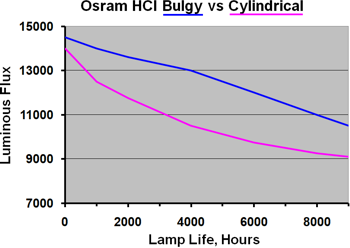 The elimination of the thick arc tube ends helped improve light extraction, while delivering a more uniform light radiation pattern for improved luminaire optical performance. 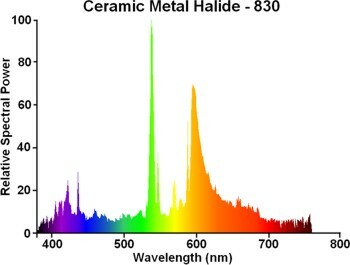 Moreover the halide dose weight could be reduced, leading to reduced arc tube corrosion, and greatly improved lumen maintenance and colour stability during life. Still another advantage was the reduced arc tube mass, approximately halving the run-up and hot-restrike time. 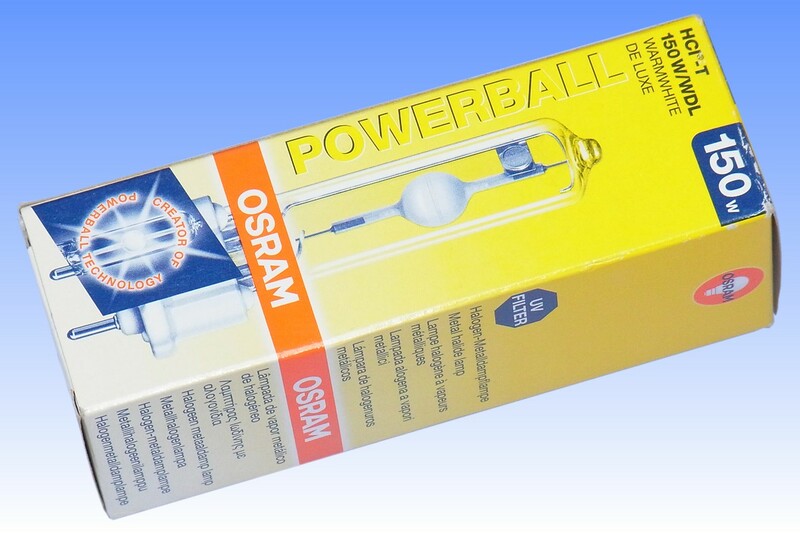 The Powerball arc tube is made in two parts with a seam around the centre, and is the result of a co-operative project between Osram GmbH, OsramSylvania of USA, and NGK Ceramics of Japan. It was first launched for the American 100W and 175W lamps in 2001. 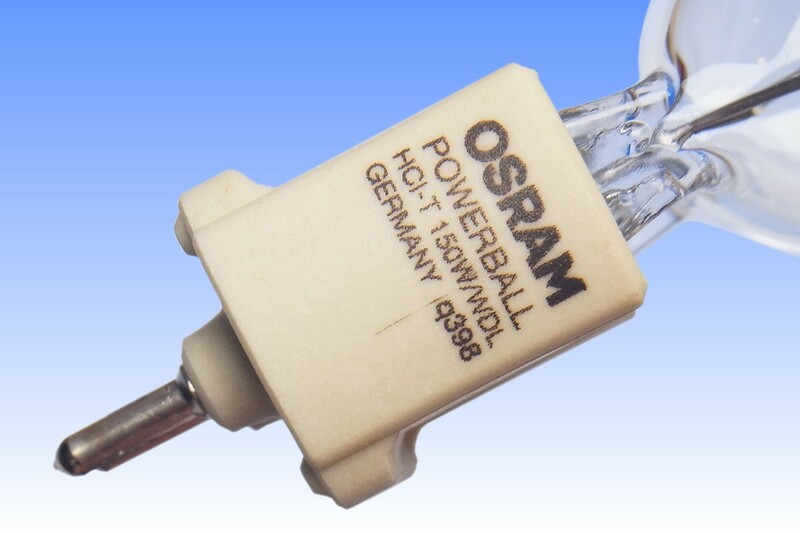 It was extended to European 70W and 150W types in April 2002, and extended to a 250W rating at the end of that year, and Osram eventually upgraded all ratings to Powerball technology. References: 1) Osram Lichtprogramm, 2004/2005, DE. 2) Osram Lichtprogramm, 2003/2004, DE. 3) Osram Price List, June 2003, UK. 4) Osram HQI/HCI Technical Manual, 2003, EU. 5) Osram Prism Employee Magazine, 2002 May/June, p.8. 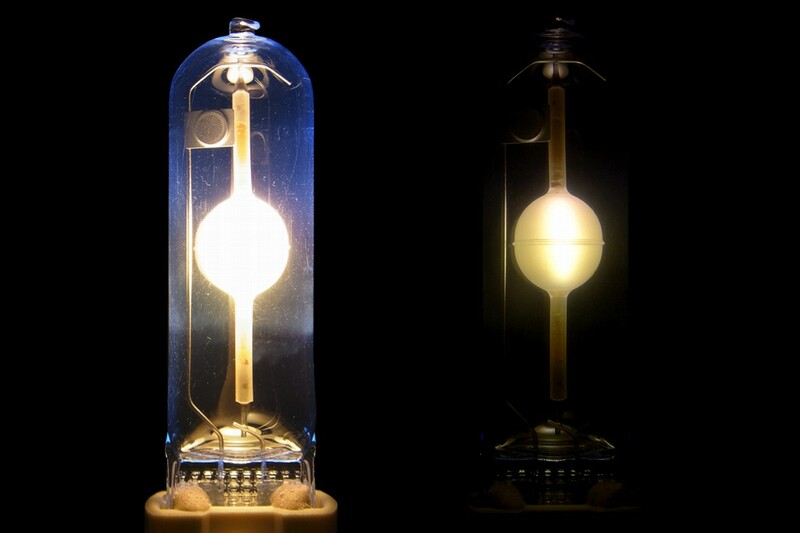 6) Improved Arc Tubes for Ceramic Metal Halide Lamps, S.Jüngst, D.Lang, M.Galvez, Proceedings of the 10th International Symposium on the Science and Technology of Light Sources, Toulouse, 18-24 July 2004, pp.115-124. 7) European Patent EP0,841,687B1, Keramisches Entladungsgefäss, D.Lang, Priority 07-Nov-1996.